The dream of establishing a university in Jerusalem had been expressed already in the 1880s. 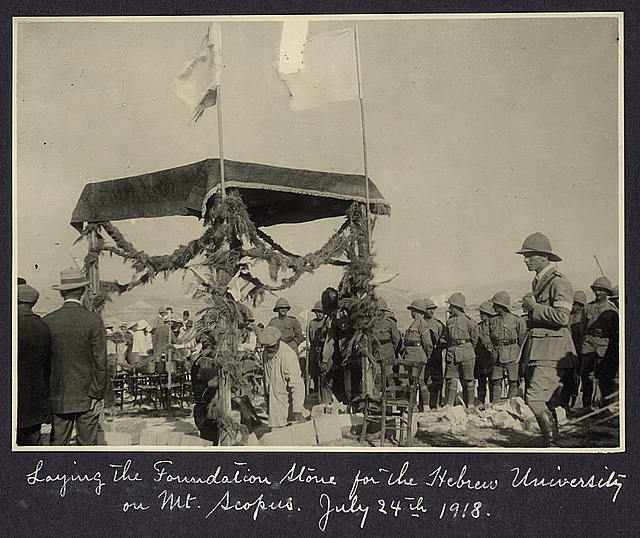 Finally, just seven months after World War I and the defeat of the Turkish-German army in Jerusalem, the foundation stone for Hebrew University was laid on Mt. 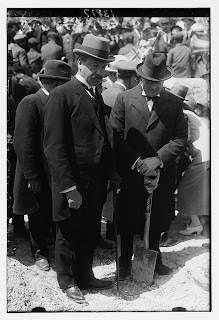 Scopus on July 24, 1918. Chaim Weizmann, the man who became Israel's first president 30 years later, was in attendence. So was Gen. Edmund Allenby, the commander of the British forces who captured Palestine. More pictures and details can be found in an earlier posting, "Great Moments in Hebrew University's History."